NXP/Freescale have created a simplified, but still 32 bit, version of the ColdFire architecture that is oriented towards consumer electronics and which, in order to support the lower pin count, uses a simpler debug interface. PEmicro's Multilinks will operate the Background Debug Mode (BDM) link on the ColdFire V1 core microprocessor. It acts as the hardware interface between a PCs port and a standard 6 pin background debug header on the target system. 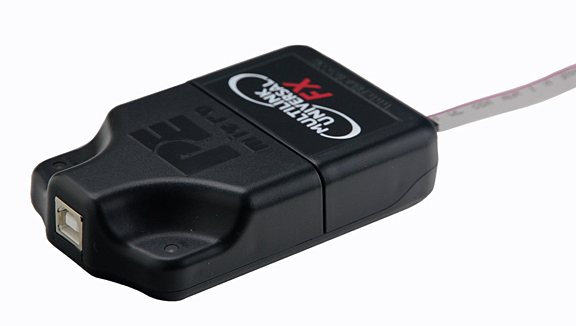 These greatly simplify the task of programming and debugging embedded target systems. They allow a PC to communicate with a target processor through a high-speed USB interface at the PC and a debug port at the micro. The PC can then control the microprocessor via the debug port of the target MCF55xx/56xx/57xx processor. There are two models in the range - The Universal which is lower cost and the Universal - FX which provides significant performance improvements. Target Auto-frequency detection for HC(S)12(X,Z), HCS08 + trimming capabilities for HCS08 devices. 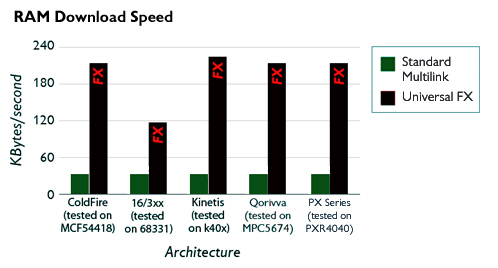 For Synchronous architectures such as the Cortex, Kinetis, Qorivva, Coldfire V2-V4, 683xx, HC16, Power Architecture PX Series and the DSC the communications can run at 4 to 10 times faster than the USB Multilink Universal or the older parallel Multilink interfaces. A simple command line assembler adequate for many small applications ( no linker but the source file can have multiple includes). It provides macros and conditional assembly. WinIDE is a windows package that includes a configurable text editor and provides the ability to launch a range of other programs from within its centralised operation. Includes the Assembler. A windows package that via the cable provides all the services of a debugger providing as it does access to the contents of variables and registers along with control of the CPU's execution via Breakpoints and Run commands. Using the BDM cable to interface between a PC and a target processor this windows software package will program either on chip or external flash memory or on chip EEPROM. 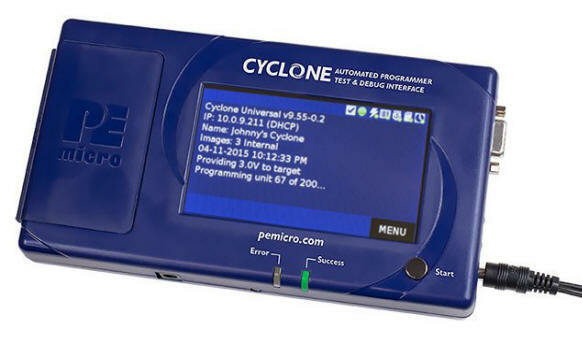 For an overview of PEmicro products Summary of PEmicro tools for programming most NXP/Freescale Families from HCS08 to PPC, Arm Cortex, Renesas, Hitachi and STMicro devices. For information on BDM cables and software How Background Debug Mode works, software using it including Debugger and Flash Programmer.